Bricetin has served Windsor and Essex County est 1991. 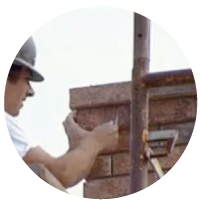 The owner, Mark Rivait, has over 30 years of experience in foundation repair, leaky basements, chimney repair, concrete restoration, new concrete installation, brick restoration, concrete driveway and walkway installation. We guarantee all work upon completion to ensure customer satisfaction. 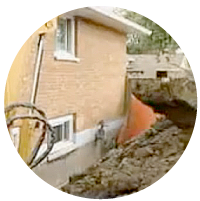 We build our reputation on providing the best service possible by repairing your foundation, fixing leaky basements, repairing old chimneys, installing and repairing damaged concrete using the most up-to-date, innovative products and technologies. 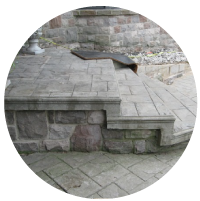 We offer the decorative concrete Lakeshore clamours for! We've built our reputation on providing the best service possible by offering a wide range of concrete repair services: concrete driveways, sidewalks, patios, etc. 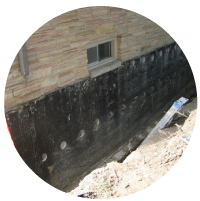 Stop the water from entering your basement with a quality waterproofing system. We can return your chimney to its original functionality and appearance. It's critical to address the damaged foundation as soon as you suspect a problem. To request an estimate or a service, please call or send us an email.